Bastet or Bast , this cat statue honoring the feline Goddess sits with wrapped tail for mantel or altar. 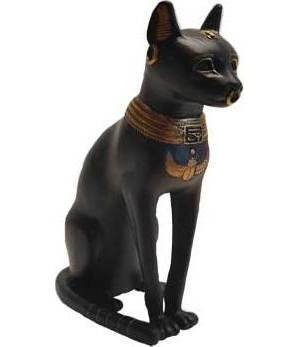 Smooth sleek satin black with gold highlights, makes this a regal item for cat lovers and those who honor this Egyptian deity. Cast resin, 8".